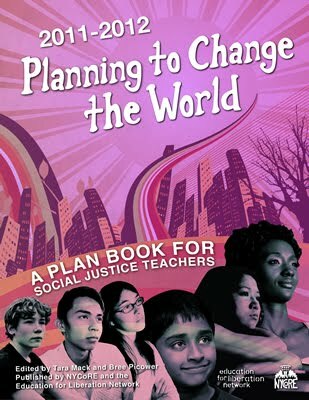 Teachers For Social Justice: Why are We Interested in Teaching for Social Justice? Why are We Interested in Teaching for Social Justice? "Part of the reason I became a teacher is to teach children about social justice, acceptance, and tolerance to improve the world we live in! If we can open the minds of children at a young age, just imagine where our country could be in terms of tolerance, love, and acceptance." "Education is where there's so much potential to make changes in the way people see the world and interact with each other. I want to influence people to decolonize their minds, embrace curiosity, and value democratic communication. The curriculum fair supports me in doing that work." "I want to get more ideas to use in classroom with my students." "I think social justice should be implemented in classrooms all across Chicago, not just in urban schools but also in the suburbs. Understanding social justice is critical to changing the inequalities of our society and I want to be a part of the movement. " Click here to read all the testimonials..
"I am a CPS teacher, CTU delegate and a CORE member. I believe teachers must be a part of the social justice movement." "The youth I work with will benefit from the workshops and resources presented. They are all CPS students." "Education is the civil rights battle of our time; if I say I care about equality and justice I sure as hell better be engaged in this struggle. The government says that all children are required to go to school--it is our responsibility as a nation to provide the highest level of education to EVERY student, regardless of class or race... We shouldn't be able to sleep at night for the mountain of inequities & injustices we pile up against innocent children." "I'm interested in hearing teacher's methods of teaching because I am a high school drop out and I want to see if things have changed or what are their plans." "I am 24 years old and am still new to the world of education. As I begin my journey to becoming the best teacher I can be, I am still figuring out what it means to be "a teacher for justice". I look forward to meeting other educators and engaging in thoughtful dialogue about the issues our schools face. I have much to learn, and am intrigued to find out what TSJ can teach me! " ""I work at a school, and I am around teachers all day, but rarely do I get the chance to build with an educator"
"I have been attending this curriculum fair since 2004 and I love it! Every year there is something new to explore and helps me grow as an educator." "I love this community of teachers who work for justice in their schools and communities. As an employee of a community organization that also works for justice, I appreciate the opportunity to share with the TSJ community and to support one another's work." "I hear you have great cupcake making parties. No but seriously I think pushing a dialogue for an equitable education is necessary--especially with regards to getting youth voice and parent input for what our schools should look like!" "I love writing curriculums! I love social justice! I love educators! And that's why I'm down with Teaching for Social Justice." "I am training to become an elementray school teacher and I plan to work in CPS. I am excited about the work TSJ, CORE, the Whittier parents, and GEM are doing. I am interested in the possibilities for teachers to support and develop a broader working-class movement in Chicago. Along with that, I am interested in promoting awareness among teachers and teachers-in-training about the role teachers play in movements like those here in Chicago, Oaxaca, Chile, and Puerto Rico. Looking forward to exploring our power inside and outside the classroom."" "I enjoy TSJ because of the true commitment people have to work towards a better education! I believe in its mission and above all the fact that it is understood that education is political. I like that it takes a stance." I'm dedicated to the process of teaching for social justice and learning how I can best help my students become actively involved global citizens and how I can best assist them in developing strategies to be positive leaders in their communities." I am a mother of a 6 year old girl who just started kindergarten in CPS. Like any parent, I want what is best for my child. However, the conclusion I have come to is that "the best" for her means advocating for the best for all--fighting inequality and injustices not only in our own surroundings that affect us personally and directly but also outside our immediate worlds. This mean standing with and working in solidarity and love with all who struggle for justice and peace, feeding hope to the belief that another world is indeed possible. " This Year's Keynote Speakers & Performers! 2010 Curriculum Fair Workshops Announced!